There are 7 reviews of Climat. Climat (1967) just goes to show that copying a good perfume idea is nothing new. This is a review for the vintage parfum. I have not sampled the current re-issue. This immediately reminded me of the rich, textured floral chypres of Lanvin. It is very old school, right out of the 1940s, and is to my nose truly superb. The exact floral oils used here are hard to detect as the balance and blending are stunningly achieved. It is very creamy with a sandalwood and vanilla base that lovingly supports the florals. Quite an achievement. I'll be looking for a bottle on Ebay or amongst the private collectors/purveyors I know. First Edit: No wonder I love this stuff. The more I wear it, the more I believe it is a copy of the great Madame Rochas of seven years prior. The two sprayed on two wrists tells my nose Climat copied a masterpiece. Back in the sixties no one reviewed scent, and there were hundreds of copies made of successful scents, many by top name houses. An interesting development I read about recently is the proliferation of "fake" Climat parfums out there, even going so far as to replicate the bottle and the neck ribbon colors. There are those who even collect the original empty parfum bottles and fill them with the "fake" versions. So with no way to be sure, unsniffed, if you are buying a true scent or a rip-off, why not just buy Madame Rochas. It takes the guessing out of the Lancome Climat bottle wars. I had seen images of Climat on Ebay before and didn't know much about it, so I didn't want to risk it. However, A woman at a flea market was asking a fair price for what was left (1/3) of a vintage, 1/2 ounce parfum, a few months ago, so I snapped it up. I'm glad I did. Climat is one of those creamy, old-style chypres that seems to lie somewhere in between the beautiful and long discontinued Deneuve and YSL's "Y". While I am NOT a lover of aldehydes (love Chanel No, 5 though), I have to say that, to me, they don't seem to feature as prominently in Climat as others have mentioned. What does seem to dominate, in a good way, is oakmoss, which, strangely, is not mentioned in any of the previous reviews. It's definitely a floral, but I'm getting some real animalic/woody notes in the dry down. If you're a chypre lover/collector, you should definitely keep your eyes open for a VINTAGE bottle of Climat. Please don't buy newer versions of Climat expecting a real classic chypre because the IFRA will not allow them to make a chypre like this anymore. I used to like Climat; though I haven't smelled it for a number of years, I can remember exactly what the Parfum version smelled like; therfore my review is for the vintage version: a clean aldehydic white floral, which I tended to wear for work during the warmer months. 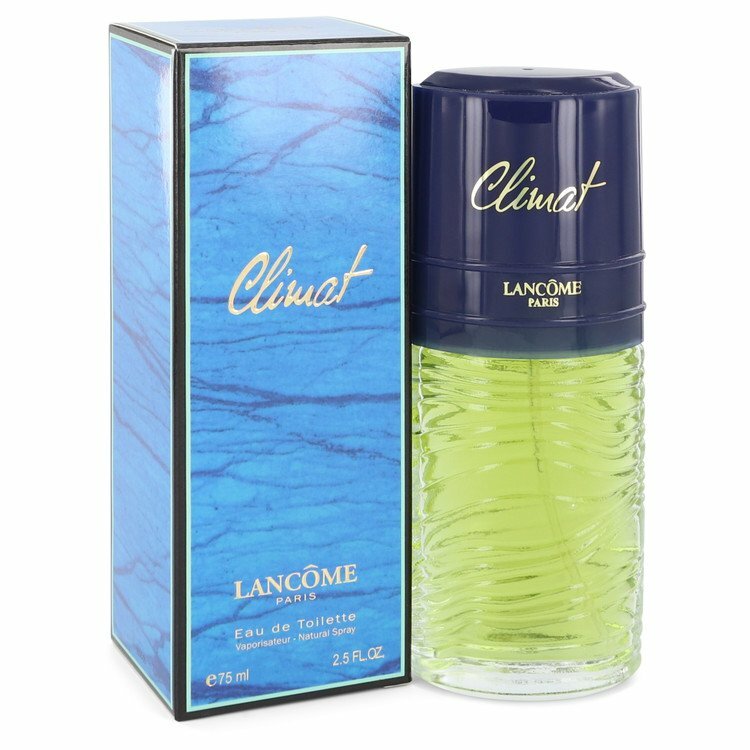 I wouldn't have said Climat was the most disctinctive of fragrances, but it formal and elegant (easily the most elegant Lancome fragrance). I think the Parfum has been discontinued, which is a pity. Climat is a classically constructed aldehyde and white flowers fragrance. But it is also a warm aldehyde that acts more like a quiet skin scent (a little is better than a lot), that is more intimate and less formal or obvious. A small dab of this just melts into the skin and has an unusual warmth - some sort of summery, light hay like accord. At first I thought this would be hard to wear because it didn't really work with the image of a classic French aldehydes - all black dresses, red lip and pearls. That was the mistake. This is a jeans and white shirt fragrance perfect for comfortable, friendly occasions, like small wine and cheese picnics in the country. I think it fits more in the Estee Lauder American natural-sporty aesthetic than the Lancome French formal aesthetic. This may not blow people away, but I don't think it intends to do that. It has a warmth and fragrance like skin has a warmth and fragrance. I recommend testing this unusual and well blended fragrance before buying because it is not like standard white flowers fragrances. This could also be unisex on the right man. When I recently tested the relaunched EDP as part of the Lancome La Collection series, I was taken with how much better it had smelled than when I had previously tested the regular edt years ago. The original was bitter, harsh and astringent, the current rich, layered, and wonderful. Yes, a strong aldehyde pervades the composition, but tempered by a rich grassy vetiver. LANCOME CLIMAT Pure Parfum Splash 0.47 Oz / 14 ml RARE ITEM NEW SEALED IN BOX!!! Lancome to relaunch classics! Magie, Climat, and..